It has well planned interesting activities which are partly structured but leave scope for a lot of creativity both for the child and the facilitator. It guides you to budget and make use of simple material of the right kind and in the right amounts effectively.. It fits in with your schedule and space without too many logistical changes or alterations and without external interferences. It cuts down the time and energy spent in planning and research for preparing wholesome lesson plans for Art class. It validates the school as a place where creativity and art education is taken seriously with a dedicated space and temperament for creative learning. As part of our program for the academic year..
We make an ART budget for you. We set up your ART space depending on your requirements and budget. We provide well researched, balanced ART Lesson plans for the full academic year. We conduct workshops to empower your teachers on a variety of topics. We curate the ART work done by your students and share it on our blog. We provide a forum for schools to interact with blog posts, queries, tutorials and events related to ART. While Creativity is a merger of many aspects it can be nurtured with the right triggers. The lesson plans we provide are designed keeping this in mind. The sets of activities will help you bring a balanced curriculum to class where children will explore the basic elements of art, boost their imagination, develop their motor skills and also connect to nature. 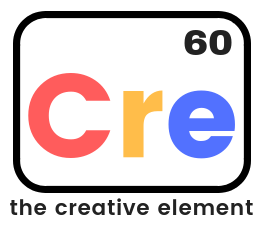 Drop us a message here or write to us at thecreativeelement60@gmail.com so we can share more details with you.